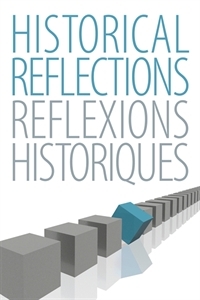 Historical Reflections/Reflections Historiques has established a well-deserved reputation for publishing high quality articles of wide-ranging interest for over thirty years. The journal, which publishes articles in both English and French, is committed to exploring history in an interdisciplinary framework and with a comparative focus. Historical approaches to art, literature, and the social sciences; the history of mentalities and intellectual movements; the terrain where religion and history meet: these are the subjects to which Historical Reflections/Reflexions Historiques is devoted.